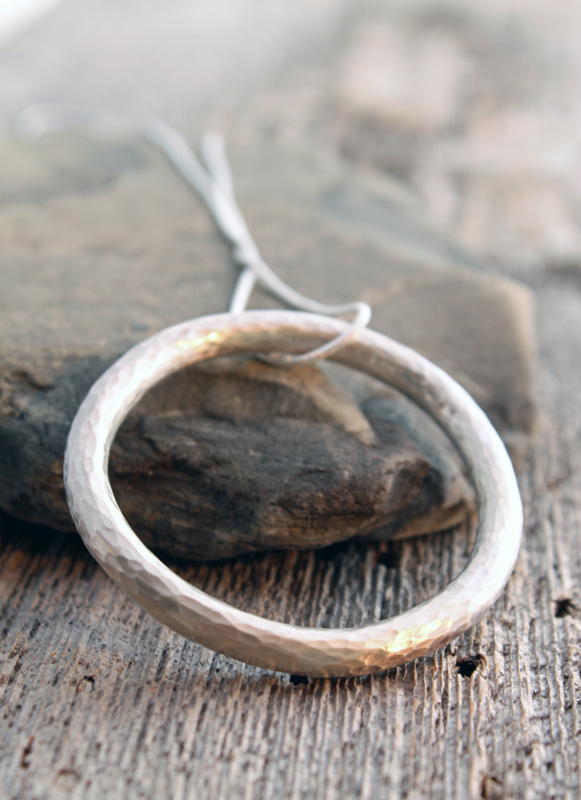 Made to order in 3-4 weeks. 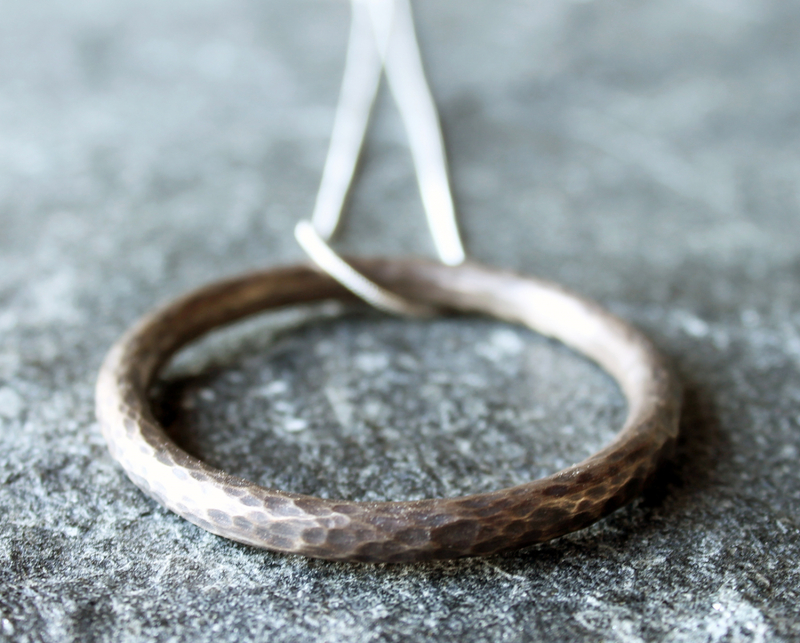 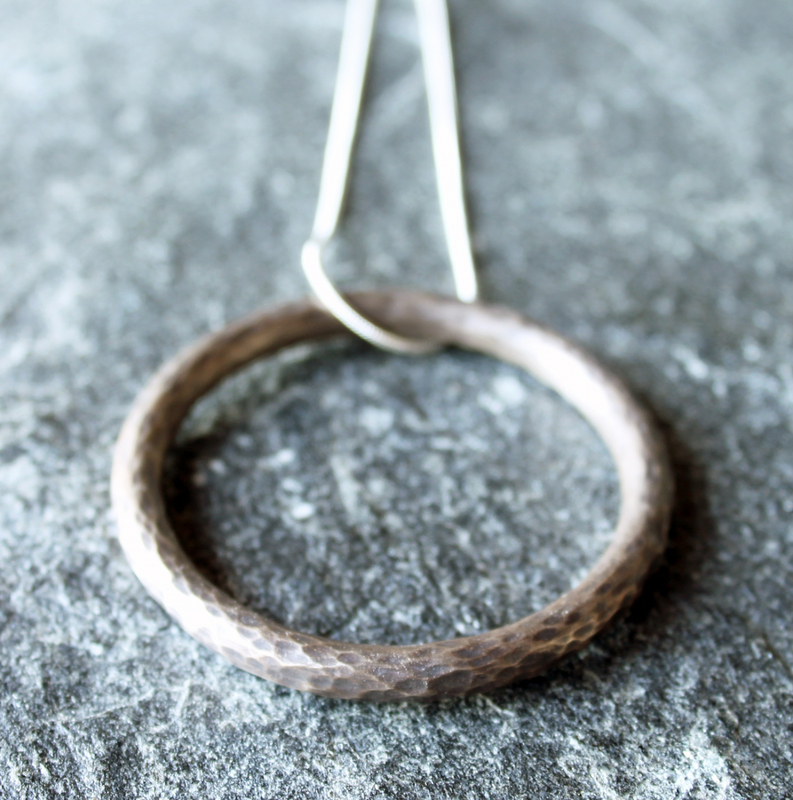 Inspired by my popular hammered copper circle necklace that appeared in Amazing Canadian Fashion Magazine, this creation takes it to another level! 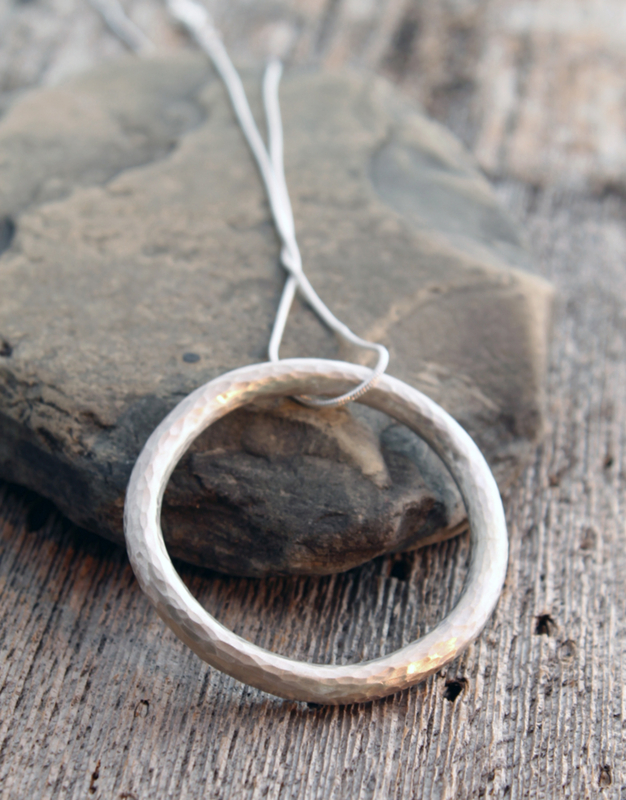 This wonderful hammered sterling silver circle necklace has been hand forged from 5mm diameter solid sterling silver and is 2 1/8" in diameter. 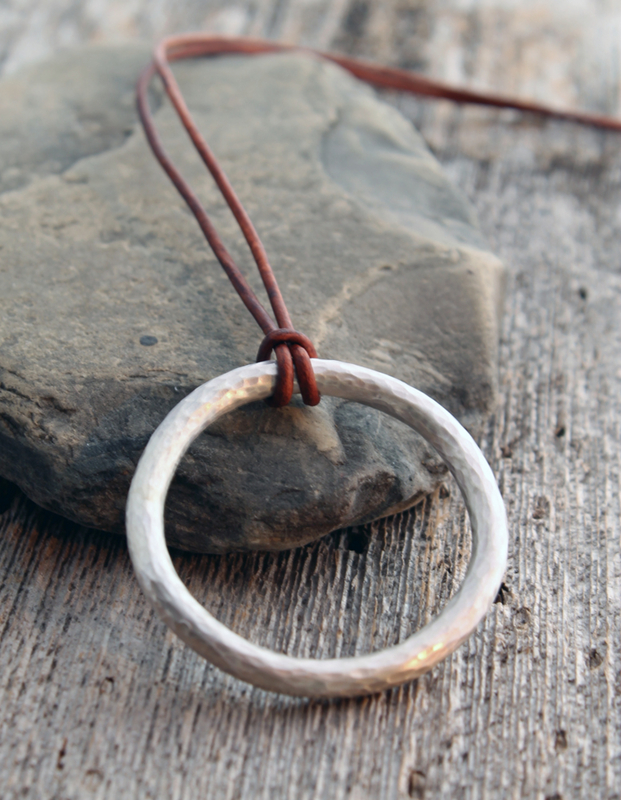 It hangs from your choice of chain or a 2mm diameter adjustable leather cord and it will look great on men or women.